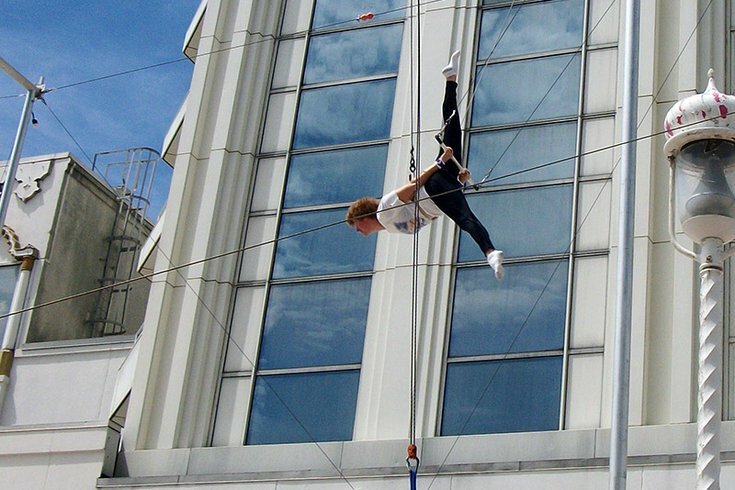 Mary Marczyk practices on the trapeze at the Taj Mahal in Atlantic City. Four years ago, she spent nearly every summer weekend working with instructors from I.Fly Trapeze, a New York school. “It is a total adrenaline rush...” she says. Vacation time for Mary Marczyk, a nurse recruiter at Thomas Jefferson University Hospital, has always been less about laying on the beach and relaxing, and more about water skiing and wakeboarding. But in recent years she has taken her love of challenging activities to new heights – on a flying trapeze. Marczyk doesn't consider herself overly adventurous and into extreme sports, and says she is not the typical young, skinny girl in a leotard most people expect to see swinging on the trapeze. Still, there is no place she’d rather be than on the trapeze rigging learning new tricks. 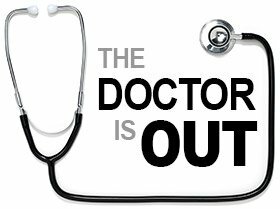 In our "The Doctor Is Out" feature, PhillyVoice highlights the out-of-office pursuits of Philadelphia-area doctors, nurses and medical professionals. Cool hobbies. Amazing feats. Inspiring charity or volunteer work. Funnily enough though it wasn’t love at first sight. Marczyk, 52, of Marlton, first tried flying trapeze on vacation in the Bahamas in 2001, but the jump off the platform scared her so she decided to stick to her favorite water sports. It wasn’t until February 2012 at Club Med Cancun that she had the urge to try it again after meeting one of the trapeze instructors – on water skis. In this case, the second time was the charm. “I thought it was very scary at first," she recalled. "First you have to climb the ladder. Some people have trouble with this but I didn’t. Then you step over to the platform and they connect you into a harness, your safety line. One of the first moves you learn, according to Marczyk, is a knee hang where you swing out on the bar and then bring your knees up onto the bar. On the cue “Hands Off” the hands are released from the bar followed by a simple back flip into the safety net. If you can master that maneuver, you get the opportunity to do a catch with someone hanging upside down on the other side. “The instructors say that success on the flying trapeze is about timing and not strength because you are going with the momentum, but it can be hard to focus on the cues as you are trying to do the moves on your own,” she said. Soon Marczyk was hooked, and flying trapeze became her favorite thing on vacation – at Club Med Sandpiper Bay in Florida and Club Med Turks and Caicos. She even spent almost every summer weekend four years ago at the Taj Mahal in Atlantic City taking classes with I.Fly Trapeze, a school based out of New York. Her favorite part of each class is the catch. She explained that a typical class is basically four practice swings and then you learn a couple of tricks, and usually before the end of the class you get to attempt the catch two times. “It is a total adrenaline rush when you succeed,” she said. The typical progression of lessons is that you learn front end tricks like the knee hang first, learn to swing and then move on to backend tricks. The hardest trick she has done so far she says is the layout catch, an advanced trick, that includes a knee hang, split, straddle and penny roll. And right now her go-to trick is the Backend Hocks Off, a knee hang with a release on the backend, the part of the swing closest to the platform. Quoting the tag line of one of the flying trapeze schools, “Forget Fear, Worry about Addiction,” she explained that it does become very addicting because you can always try new tricks and learn more. Marczyk is heading off to vacation again at the end of this month where she will continue to add to her bag of tricks.